Loads of information literally sits at our fingertips. We’re in 2017, for crying out loud! Anything you may need—or ever want—to know can be found with a simple search in the browser of our cell phones. It’s truly amazing, yet intimidating at the same time. Having access to all this knowledge requires being able to weed through it, especially when it comes to the quality of your oral health care. Finding the perfect dentist in Park Slope can be overwhelming. Fortunately, The Dental Spa of New York is search engine savvy and able to help you narrow down your options. Look at the credentials, qualifications, and memberships of the dentist you’re considering. Check to see if the dentist you are researching has practiced for a while. Who are they associated with? Also, take the time to research the school he or she attended. Does this dentist continue to educate themselves throughout their practice? Does this dentist have the credentials to back up the services he or she is offering? Dr. Frank Sapienza is a second-generation dentist in his family, graduating with his bachelor’s degree from New York University, following with his DDS in 1985 at the New York College of Dentistry. He continues pursuing training and has become an invested member of the dental community. Dr. Sapienza holds memberships in the ADA, Dental Society of the State of New York, and Second District Dental Society. Check the reviews of your potential dentist. Typically, dentists will have reviews or testimonials pages on their website. 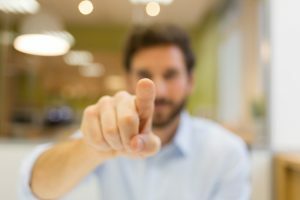 These pages are important to read over because they give insight into what the dentist’s own patients have said about them, but it is also important to reach out to outside sources to get unbiased reviews. By simply googling, “Dr. Frank Sapienza, DDS” you will see that patients have given him 5.0 stars, the highest rank of Google Reviews! Review the services that are offered at that office. It is important to make sure that your potential dentist offers the services that you are seeking. It may not seem like it, but dentistry has a lot of different avenues. If you are looking to correct a flawed smile, make sure your potential dentist offers cosmetic services. On the same note, if you are seeking alignment or spacing assistance, make sure your potential dentist offers orthodontic services. The Dental Spa of New York offers a variety of preventive, restorative, and even cosmetic services. We have modern dental technology to assist with practically every dental need. While there is a plethora of dentists to choose from no matter your location, it is important to also take into consideration the logistics of your situation. Contacting your insurance company is also very important to find out who is in and out of your network coverage. Consider your location, your day-to-day schedule, and the office hours just in case you have a dental emergency. 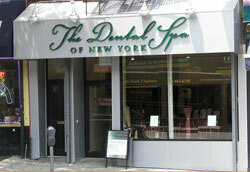 The Dental Spa of New York accepts seven well-known providers among many more! If you follow the tips we have given and are searching for a comprehensive dentist in Park Slope, there’s no doubt you will be directed to our relaxing office on 5th Avenue.